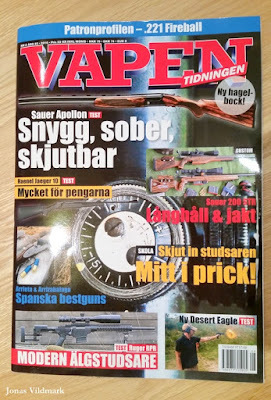 Any day now a new issue of the magazine Vapentidningen will pop up in a store near you. This time I write about one of the latest knife models from Casström; the Woodsman. 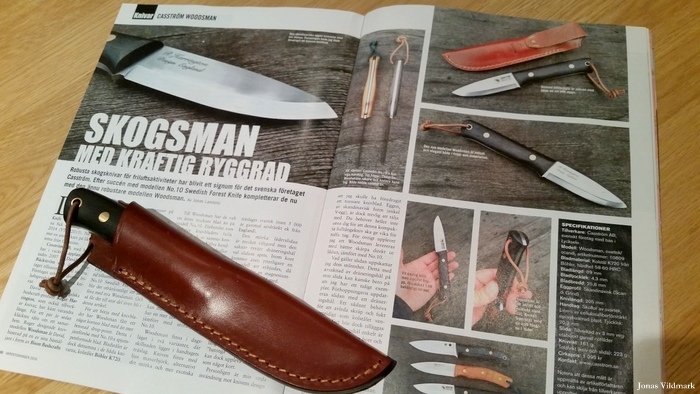 It's an interesting project in cooperation with the English knife maker Roger Harrington of Bison Bushcraft. This is a handy and compact knife with an extremely sturdy full tang blade of a thickness of 4,3 mm. As always I'd also would like to highlight some of the other interesting articles inside the magazine. 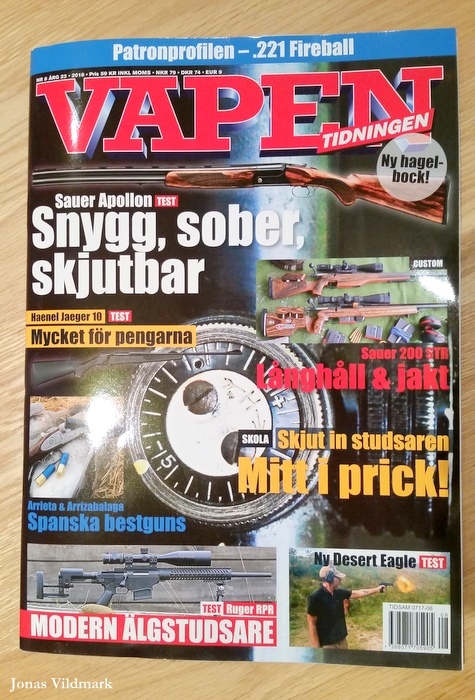 This time I got extra fund of Johan Ljungné's article on how to zero a rifle and Henrik Kalling's article about long range shooting with caliber 9x19 and his test of the caplock pistol Pedersoli Kentucky in caliber .45. I hope you'll get a pleasant moment reading by the wood stove while the November snow slowly falls outside the cabin window. To see my earlier articles inside Vapentidningen; click HERE.